The new Private Health Insurance (PHI) policy changes have reignited concerns over Australia’s opioid epidemic, with Australians denied access to life-changing pain management treatments unless they hold the top-tier Gold policy. Approximately one-in-three patients prescribed strong opioids for chronic pain misuse them, and up to 12 per cent of these patients develop a strong opioid use disorder. Neuromodulation Society of Australia and New Zealand (NSANZ) is concerned that these numbers will skyrocket should Australian patients be forced to upgrade, or miss-out pain management treatments with devices, under the PHI policy changes. “We are calling for the Government to make good on their promise, and guarantee that all existing procedures for pain management, including devices, be made available in Bronze, Silver and Gold policies,” said Dr Richard Sullivan, Pain Medicine Specialist Physician and NSANZ President, Melbourne. 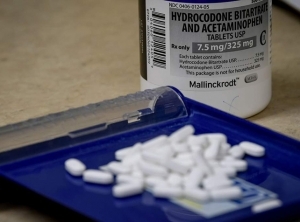 “Australian strong opioid-related deaths now exceed heroin deaths by two-and-a-half-times, and estimates suggest more than a quarter of chronic pain patients are misusing prescription strong opioids. “These numbers will increase should patients be denied access to chronic pain procedures they currently have under their existing policies,” said Dr Sullivan. NSANZ is appealing to both the Government and Minister Hunt, to publicly confirm that all existing procedures for chronic pain, including devices, will be made available in Bronze, Silver and Gold policies. One-in-five Australians, including children and adolescents, live with chronic pain.3 The proposed PHI changes will profoundly impact those living with chronic pain, many of whom are anxious about losing coverage for their existing pain treatments. John, 47, Sydney, has lived with chronic pain for more than three years, half of which time he has spent in hospital. “In the past three years I’ve been robbed of life, entrapped in a constant cage of 100/100 pain. “I was a strong, tough and fearless man. But a random, unexplained occurrence left me on the brink of collapse, battling pain, anxiety and depression, which my kids were watching me go through,” said John. “Surgery for my chronic pain gave me my life back. I can now walk again, I’ve started my own company, and best of all, I haven’t returned to hospital at all. “If chronic pain treatments, like my surgery, were no longer accessible under private health insurance, people would be suicidal. There were times when I wished I could get out of bed, just to end my life,” John said. Mum-of-four, Kelly, 46, Wollongong, has been living with chronic pain for almost three decades, pain that significantly worsened following complications during surgery for a herniated disc. “Chronic pain doesn’t just affect you, it really affects your entire family as well. I have three kids, and have just adopted my niece, and I was living on opioid patches unable to move off the couch. “My pain management device gave me a new lease on life. I’ve gone back to work, I can run around with the kids, I can even sit and stand by myself without kids having to pull me out of the chair. “Without my device for chronic pain, I wouldn’t have been able to work and would have lost my house. “If my insurance didn’t cover my chronic pain device, there’s no way I would have been able to afford it. I can’t imagine what the consequences would be if other people were denied access to life-changing treatment for their chronic pain,” said Kelly. According to Dr Marc Russo, Pain Medicine Specialist Physician and NSANZ Director-at-large, Newcastle, Australian patients living with chronic pain have voiced their frustration with their inability to access effective pain relief, and the devastating sociological burden this has placed on their lives. “Chronic pain insurance reimbursements accounted for less than one per cent of the $19.8 billion total premium reimbursements paid last financial year. “As such, there are no major savings to be made from excluding any chronic pain treatment, including devices, from Bronze and Silver PHI policies,” said Dr Russo. The Federal Government’s proposed changes to the PHI policy are likely to substantially increase demands on the already strained and under-resourced public health system managing chronic pain patients. The changes will also result in a significant blow-out of public waiting lists for chronic pain services. In July 2018, Minister Hunt pledged his support to Pain Australia, with the announcement of funding for a national action plan on chronic pain management to improve the quality of life for millions of Australians living with pain, their families and carers. “NSANZ wishes to ensure Minister Hunt stays true to his commitment to Australians with chronic pain, by including all treatments for chronic pain, including devices, available in Bronze, Silver and Gold PHI polices,” Dr Russo said.